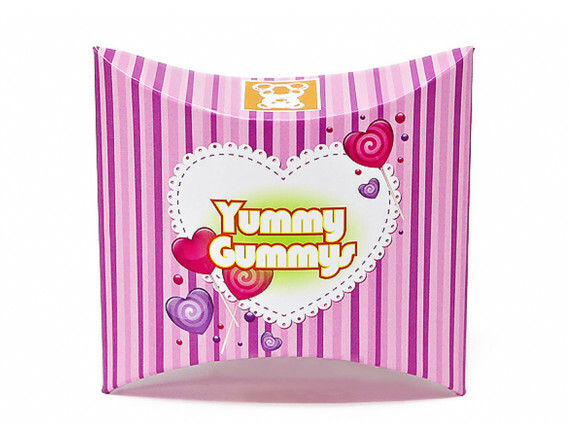 Our Candy Pillow Boxes are a great way to combine beauty and ease of use. This style of box does not conform to the average style of paper box. Its creative design has the capability of immediately catching the eye of consumers while still remaining practical and functional. 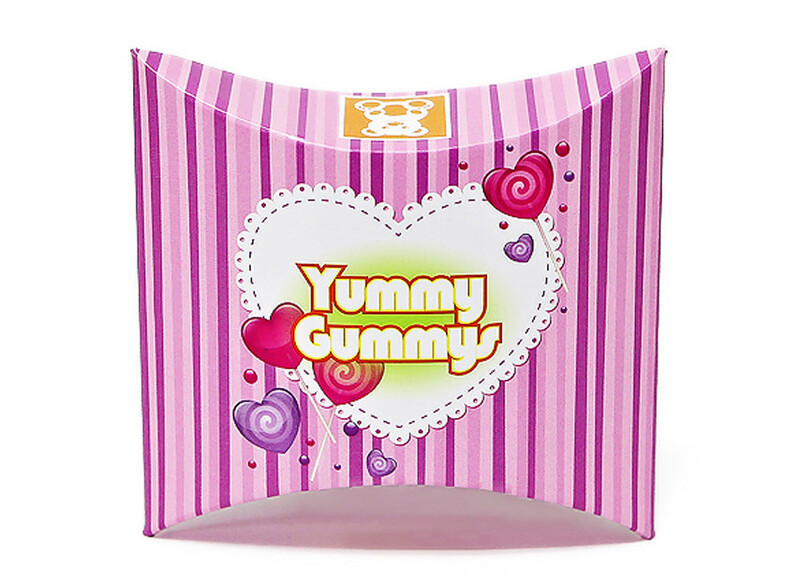 Candy boxes are ideal for packing fudge, cookies, and other candies. They create an exclusive look for your product and they are FDA compliant. Choose from our other selection of chocolate and candy boxes or create your own custom sizes for your packaging needs.